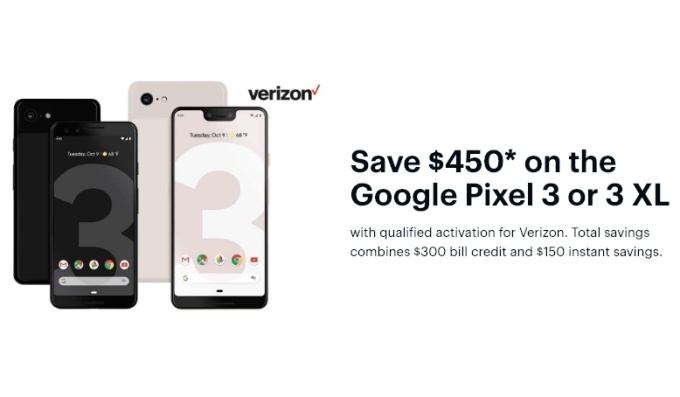 Best Buy has a great deal on the Google Pixel 3 and the Google Pixel 3 XL, offering the flagship Android smartphone at $450 off its usual retail price with "qualified" activations. This means that you will be required to commit to a two-year device payment plan with Verizon in order to walk away with Google's top device. You'll save $150 "instantly", as well as 300 extra bucks in the form of bill credits. The Pixel 3 starts at $14.58 instead of $33.34 a month, for a total of only $350 for the 64GB model. The 128GB model is priced at $18.74 a month for two years for a total of $450 (compared to its $900 retail price). 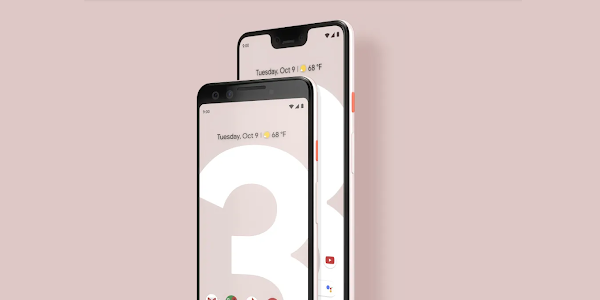 The Pixel 3 specs include a 5.5-inch display, an impressive 12MP rear camera, dual 8MP front cameras, a fingerprint scanner, wireless charging, IP68 water and dust resistance, a respectable 2915mAh battery and a Snapdragon 845 chipset with 4GB of RAM. The larger Pixel 3 XL will cost $18.74 per month for a total of $450 for its 64GB configuration, while the 128GB model will cost $22.91 per month for a total of $550. With the Pixel 3 XL, you get a 6.3-inch display with a wide-notch housing the dual front-facing cameras. Both smartphones can be purchased in "Just Black", "Clearly White", and "Not Pink" color options.